Why did someone just pay $35,000 for John Lennon’s hair? The hair was in high demand by professional hair collectors - because that is an actual business.From George Washington to Justin Bieber, tresses of the famous are bought, sold and showboated across the country. The haircut was like any other. John Lennon was preparing for his role as Gripweed in the film “How I Won the War.” The performance was unmemorable. So too was the coif. 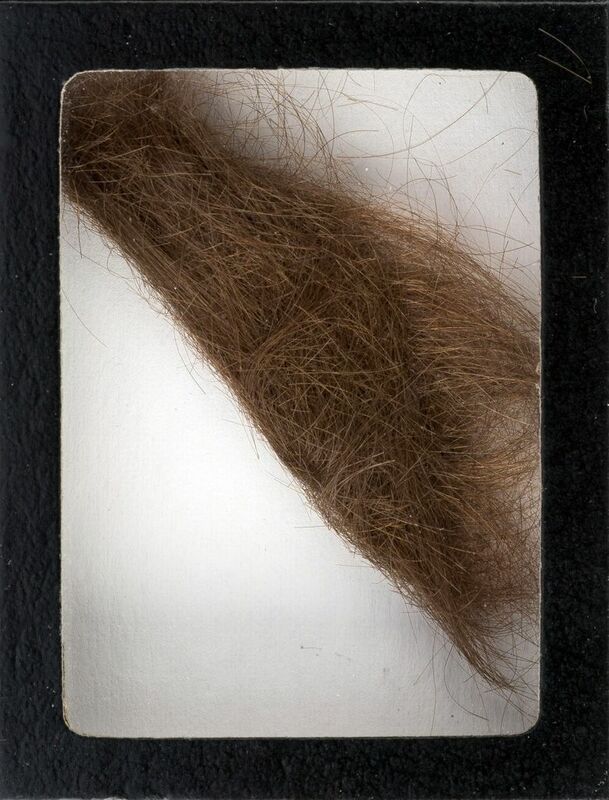 But on Saturday, nearly 50 years after it was chopped from his head, Lennon’s lock of hair sold for $35,000. The clipping garnered triple the amount Dallas auctioneers expected it to sell for. And not because some crazed Lennon fangirl really wanted the lock for her “Hey Arnold!”-like shrine. The hair was in high demand by professional hair collectors – because that is an actual business. From George Washington to Justin Bieber, tresses of the famous are bought, sold and showboated across the country. This lock of Lennon’s wasn’t even the first to go commercial. In 2007, a longer strand sold for $48,000. An unknown bidder purchased it along with a book Lennon signed for the Beatles’ personal hairdresser. Saturday’s strand went to Paul Fraser, a collector in the U.K. who has an enormous inventory of art, antiques, stamps and coins. Fraser believes in investing in irreplaceable objects, bucking the “throwaway culture” of today. No one has crafted these hairs by hand. They have, of course, grown out of real people’s heads, only to be sliced off and squirreled away by opportunistic hairdressers, morticians or zealous fans. Lennon’s bandmate Ringo Starr once had his hair quickly chopped by an 18-year-old girl with a pair of nail scissors at a D.C. charity ball. Fraser doesn’t own the Ringo hair, but he does own a half-inch strand from Beatle Paul McCartney. He also claims he owns hairs from President John Adams, Napoleon Bonaparte, Marilyn Monroe, John Steinbeck, Michael Jackson, Katharine Hepburn, Charles Dickens, Elizabeth Taylor, President John F. Kennedy and Bieber. They’re all for sale online: 399 pounds (approximately $570) per strand. Want a whole jar of Bieber’s trimmings? Fraser’s price tag is 35,000 pounds ($50,032). That’s a pretty sweet deal, depending on who you’re comparing Bieber’s mane with. In 2007, hairs from the revolutionary icon Ernesto “Che” Guevara sold for $119,500 along with sets of his fingerprints and photographs. The highest price on a swath of hair alone came from the head of Elvis Presley. It sold for $115,000 in 2002. The pursuit of famous hairs combines two great pastimes of the human psyche: collection and celebrity obsession. Most people have felt the rush of collecting something, be it stamps and baseball cards, or something much weirder like belly button fluff or traffic cones. The thrill of the hunt and the satisfaction that comes when you find something you’ve been looking for is understandably addicting. Collections and celebrity love mix easily. Fans collect autographs, film and TV memorabilia, magazines, et cetera. The longer-lasting the subject’s fame, the more valuable the object. Braudy said that 20 years ago, way before the advent of social media. Today, big names come and go even faster. And tangible objects like autographs are rarer as young people opt to ask for selfies instead. So to own a genuine artifact from a widely recognized cultural figure — even if it’s hair — is highly attractive to many people. “People are interested in owning a piece of history and a piece of famous people,” collector John Reznikoff told CBS. Reznikoff is best known for owning locks of Abraham Lincoln’s hair that are said to have little bits of brain on them from his assassination. But the newer hair in Reznikoff’s collection may serve as a cautionary tale. Those whose locks might be worth something one day might want to be careful when selecting their stylist. In 2005, it was discovered that Reznikoff purchased the hair of Neil Armstrong, who was still alive. The astronaut had no idea, and the barber earned $3,000 in the deal.